You may be a freelancer today. But, tomorrow, you can be a business owner if you follow these steps. It seems like almost everyone has a side hustle these days. According to Bankrate, more than 44 million Americans have one. Having a side hustle is a great way to make a little extra money, do something you enjoy and feel empowered. But, do you dream of quitting your 9-to-5 and turning the side hustle you love into your full-time gig? That’s the ultimate goal, but it can be difficult to achieve. The daily grind of working a day job and coming home to work on your side hustle can wear you down. You might think you don’t have enough time or money to turn your dream into a reality. So, how can that be possible? In fact, there are some simple, low-cost hacks to take you from hobbyist to professional. So, whether you write, sell products online, flip houses or plan to start a podcast, with a little luck and a lot of hard work, you can take your side hustle full-time and make more than you would have working for someone else. Now, pull up your bootstraps and check out these four tips to take your side hustle to the next level. One of the first steps to starting any business is to determine your goals. You have to know where you want to go, and when, in order to keep your business on the path to success. Not only will setting your goals keep you more organized, but it will keep you accountable and motivate you to keep pushing forward. Once you've written down your goals, you should create smaller but necessary tasks that you can complete in less than an hour. For example, if you have a goal of writing three blog posts a week, you can break down those individual tasks to create: a blog idea, an outline, the necessary research, a draft and a revision. Another tip is to use a time-tracking tool, like Time Doctor, to keep you on pace. If you’re the type who has all your ideas written down on notepads thrown haphazardly all over your desk, you’ll need to get more organized, to create a successful business. A scattered mind will do you no good at managing and completingthe tasks you need to get done in a day. You can use a free tool like Trello to visually plan out tasks, projects and company goals. By organizing all your business ideas in one place, you’ll be stay on track and get more done. Create a daily to-do list as well as a calendar to track project-due dates and meetings, to make sure you’re completing the goals needed to turn your side hustle into a business. When you know what’s coming up in the pipeline, you’ll be more effective at prioritizing and meeting important deadlines. Related: Your Side Hustle Can Become a Million-Dollar Business. These 5 Examples Prove It. Building your brand is one of the most important strategies to take your side hustle to the next level and develop an identity for your business. Get a great logo crafted and create a style guide for your brand that covers colors and font you'll be using; then design your website around it. 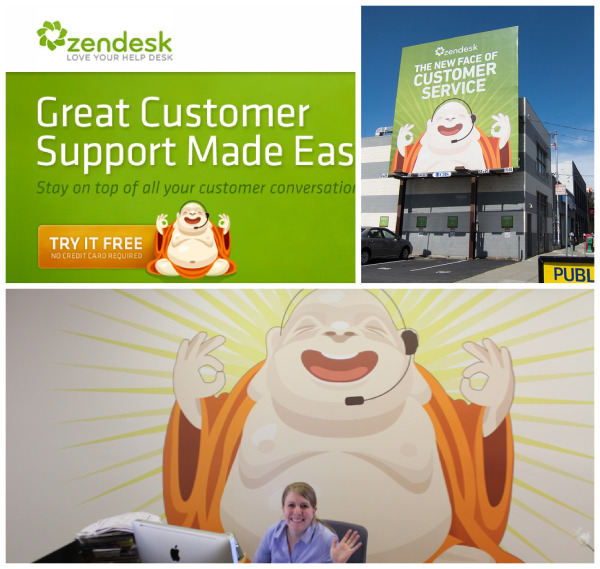 Zendesk has created a brand and logo for its company that is recognizable, consistent and distinctly its own. Your brand needs to be consistent across all platforms, including print and social media. That'swhy it’s important to create a branding style guide that you can refer to. When you make your side hustle look more professional, people will take you more seriously. As you're building your brand, visitors will form a connection with your business, which will look more and more like a legitimate business and not just a hobby. With your side hustle you might be doing work only for people you know, or selling to friends and neighbors, but to take it to the next level, you need to widen your audience by marketing yourself. One great tactic to utilize here is a website for your personal brand. Another: Building your email list. An email list is an awesome way to talk to targeted leads directly any time you have something to say, whether that consists of educating them with useful content or announcing a sale. The users on your email list are going to be the easiest to convert to customers for your business. Julie Ewald was a freelancer who founded her own company. She uses this pop-up to encourage visitors to her site to sign up for her email list. Another great way to market yourself is to get onto social media. You can reach a whole new audience for your business by promoting your business on Twitter, Instagram and Facebook. By using the power of email and social media, you can connect with an engaged audience and skyrocket your sales without ever having to pay for advertising. In sum, starting a business can be scary. But you’ve already proven you have the chops to become the boss of your own company by starting a side hustle. By following these strategies you can take your brilliant side hustle from a part-time gif to a full-time labor of love and become the entrepreneur you've always wanted to be.